Seiko Kimura is the leader of the 4th Division. During her time at Hope's Peak Academy, her title was Ultimate Pharmacist. Seiko is stated to have a reserved personality and a stilted way of speaking. As a pharmacist, she has an extensive knowledge of medicine and drugs. Much like Kyoko Kirigiri, she is conscious of how easy it is for people to guess what she is think through her facial expressions, so she hides her face behind a mask. 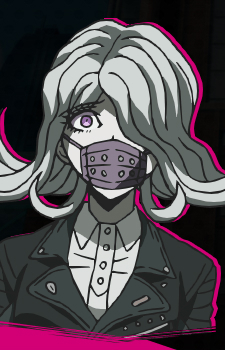 Seiko is the third victim of the brainwashing video in the Final Killing Game and the fifth victim overall.